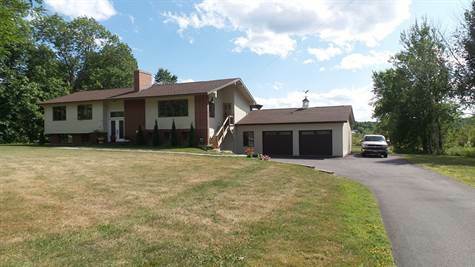 Year Built: 1965 "Approx...Completely Remodelled 2014"
This magnificent beauty demands attention! Renewed from top to bottom this home is a head turner in every way. From the living rm with wood burning fireplace, top of the line gourmet kitchen (with custom cabinets, granite countertops, stainless steel appliances) that flows through to the dining rm. Sliding glass doors in the dining rm showcase view of the St Croix River, while opening up home to even more light on to a 640 sq ft deck with hot tub & pergola. The laundry/2 pc powder rm could easily be converted into a 2nd bedrm on the main level. Master boasts river views & has an en-suite that will make your best friend envious! The walk out basement features 2 bedrms, a spa inspired full bath, large family rm & a “babe cave” that opens into the attached garage. If your heart is looking for the “one of a kind beauty” look no further! Here she is!